Axum is found in the mountainous land of Tigray region in northern part of Ethiopia. Located about 1,024 km north of Addis Ababa. It was the capital of the Axumite Kingdom next to Yeha, which extended its power till the present day of the Red Sea,and whole horn of Africa, including Yemen. The power of Axum was based largely on trade due to its proximity to the Red Sea in the north east and the Indian Ocean coastal trade routes to the south. Romans, Persians, Chinese, Greeks, Arabs and Indians were known to have good relations with Axumites. Axum is one of the worlds ancient civilizations that is clearly seen today. The influence of religion, economic, political, and social development reflects great impact on today’s Ethiopia. The Axumite kingdom reign from 1B.C to 10th A.D. even it extends to 10th B.C with the fabled Queen of Sheba. Axum is the 1st empire build churches on the soil of Africa, sanctuary of Ark of Covenant, and it is the holiest city of the Ethiopian Orthodox faith. The city of Axum is also known for its historical relics of monolithic stele park, palaces and the church of St.Mary (Zion), Museum, tombs of kings etc. A visit to Axum means a discovery of history back to 500 B.C. Negashi is some 10 km away from Wukro town in Tigary region that lies on the plateau commanding a magnificent view of the surrounding area. “Negashi” got its name from Tigrigna word called Negash or Negus meaning Nejashi the variant word of Arabs. The history of Negash Mosque begins from the 7th c A.D as the faith of Islam. The early followers of Prophet Mohammed were harshly persecuted by Quersh tribe of the mercantile ruler of Mecca. In order to maintain the very several of his religion the Prophet had to seek a land for his followers “under lithe a country whereby no one is wronged, a land of righteousness, depart thither and remain until it please”. The ruler of Abyssinia (Ethiopia) guaranteed asylum to the first eleven men and four women refugees. Then after lived & settled in peace in Ethiopia until they returned back to their home land. 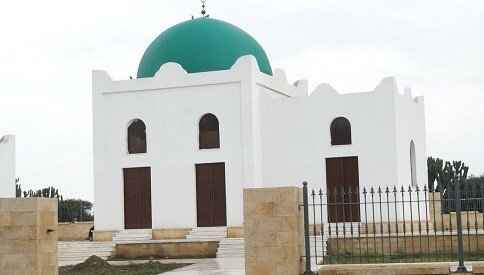 Therefore; Negashi mosque represents the first hand foot print of Islamic faith in Ethiopia and the world since more than 1,300 years ago. 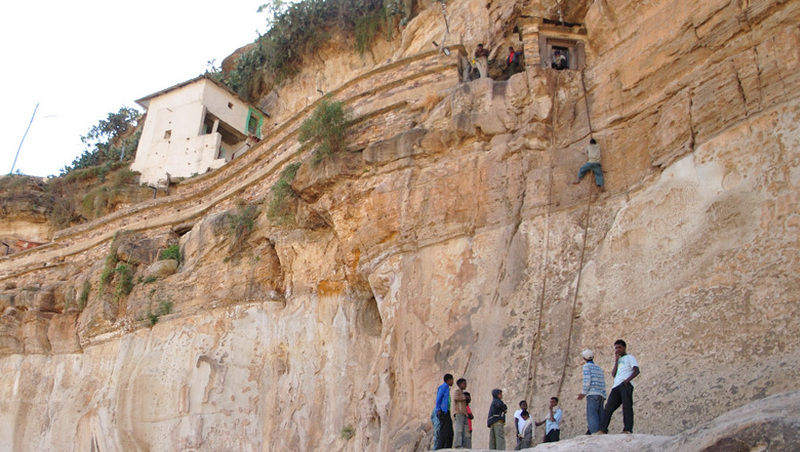 There are hundreds of rock hewn churches over the mountains of Tigray. The rock hewn churches are found in sand stone escarpments; and in the surrounding of stone built villages and cave churches in Gheralta, Timben, Hawezien, Atsibidera, Genta Afeshum, and Wukro and in many other places. They vary from their modifications of roughly hewn out, beautifully elaborate wall murals and they are hidden in valleys, cliff faces and, mountaintops. They predates Lalibela to 4th century even more. The town of Hawizen is the base in exploring these churches in any direction. Some of these churches are found in mountains areas, difficult for ascent; and others are famous for their stone workmanship, ancient paintings and manuscripts. The most numerous clusters of churches, carved into the rocky face of the mountains are found in the Gerhalta area, that lies to the south of Hawizen. Such great churches as Abuna Yemata, Mariam Korkor, Daniel Korkor, Debre Tsion, Yohannes Maequddi, Abraha Atsebha, Abuna Gebre Michael, and Silasse Degum are in the very heart of this cliff. Yeha is situated 50km drive east of Axum. It is another historic place adorned with attractive rock pillars and buildings. 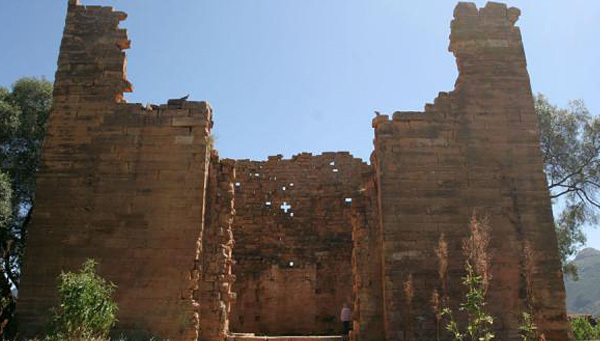 The temple of Yeha is the oldest standing structure in Ethiopia and is the largest pre- Christian Temple. It was ancient capital of Sabeans the founder of Axumite kingdom and it was once a place where great civilizations flourished. Yeha is constructed of the huge stone without the use of Mortar. This is a tower built in Sabean style dating back 500B.C and prevails with one side of its wall in ruin, testifies to the advanced level of craftsmanship of the people of those times. The standing ruins of Yeha temple is a rectangular edifice with roofless upper storey’s of some twelve meters in height. The outer face and has a special attraction of limestone beauty with sun set and evenings. The town of Lalibela is found 776 km north of Addis Ababa in the mountains central highland of Ethiopia. It was the capital of Zagwe Dynasty for three hundred years. Roha was its former name before it was renamed after King Lalibela. Being an official “eighth wonder of the world” Lalibela hosts the world’s most unique outstanding sacred sites: eleven rock hewn churches, each carved entirely out of a single block of granite with its roof at ground level. They lie between the east and west of river Jordan. The churches are entirely separated from the surrounding rock by deep trenches. 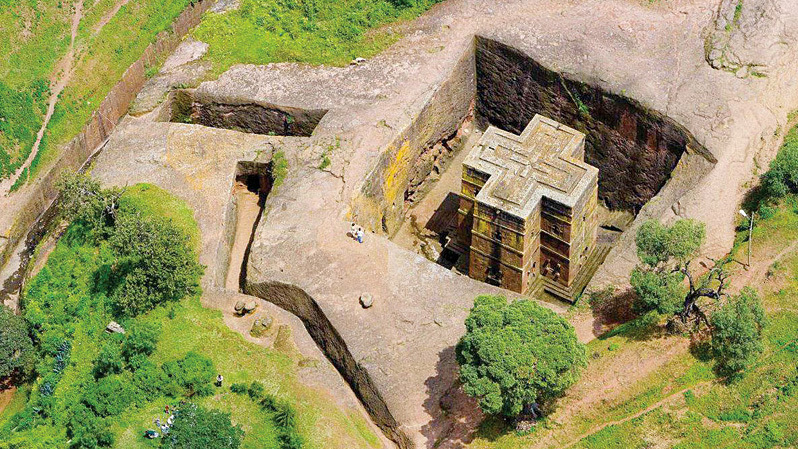 As Lalibela is a renowned destination of pilgrimage and devotion. Each of the churches are interconnected by tunnels. King Lalibela had them curved with different arts that catch your admiration. Bete Medhanlem the roof is decorated with Greek style of Temple, and those of Bete Emanuel, Aba Libanos and Bete Giyorgis are of Axumite style nowhere you can find. Others also stand with their own unique characters. Religious ritual is central to the everyday life of the town, especially when crowds of singing and dancing priests celebrate Ethiopian Christmas and Epiphany. These extraordinary religious ceremony and rock architecture gives the town of Lalibela a distinctively timeless, Biblical atmosphere. 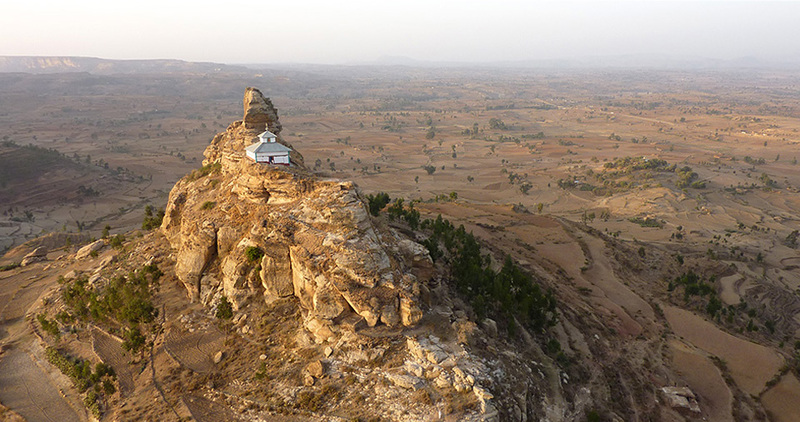 Debre Damo Monastery is found on the isolated flat topped mountain in northern part of Tigray some 85km east of Axum. It is the oldest existing 6th century and the 1st monastery in Ethiopia. Located on steeply raising mountain top of rectangular shape, about 1000 by 400 meters in dimension. The monastery built in Axumite style, with curved wood panels, painted ceilings and walls is dedicated to Saint (Abune) Aregawi, one of Nine Saints” who came to Ethiopia from Syria to spread Christianity. The Monastery is known for its magnificent view and extensive collections of priceless manuscripts. The monastery is only accessible by climbing up using rope, made of “plaited leather”, lowered from the top of the cliffs. Visitors tie their rope around their waist and are then pulled up by a monk at the top of the cliffs. It is only permissible to men and male animals. Gonder was the 17th century capital of Ethiopia during the reign of Emperor Fasilades. It emerged as the largest permanent capital of Ethiopia next to Axum and Lalibela. It was an important nerve center of administrative, commercial, cultural and religious activities until the middle of nineteenth century. The city’s unique imperial compound contains a number of castles built between 1632 and 1755 by various Emperors who reigned during this period. The first notable castle was built by Emperor Fasiladaes and he established the tradition that was enhanced by his successors too. These dramatic castles, unlike any other African, display richness in architecture. During their period the city flourished as the metropolis of art, music and learning; and subsequently marked Ethiopian architecture in a long –lasting manner. Those picturesque castles in the Royal Enclosure are from when the Emperors once reigned. The most famous buildings in the city lie in the Royal Enclosure, which include Fasilades castle, Iyasu’s palace, Dawit Hall, a banqueting hall, stables, Mentewab’s castle, a chancellery, and a library. 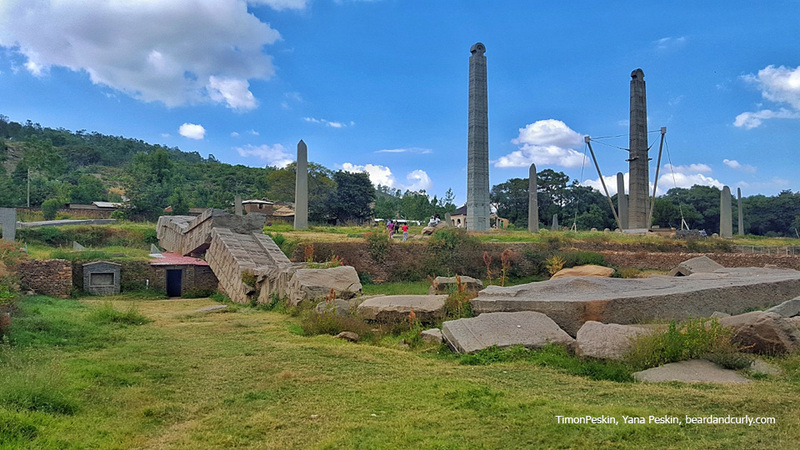 Near the city lies Fasilades’ bath (a place where the annual ceremony of Epiphany (Timket is conducted), Debre Birhan Selassie church, the Qusquam complex and the eighteenth century Ras Mikael Sehul’s Palace are other attractions. 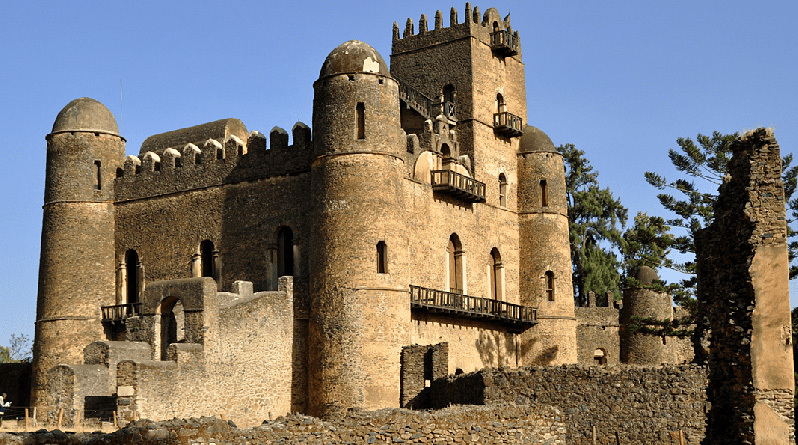 Gondar nowadays is one of the world heritage site of Ethiopia and charming touristic city where one can witness the impressive medieval art, music and culture still intact. Bahirdar is located some 560 km of Addis Ababa and at the southern shore of Lake Tana, the largest lake in Ethiopia with an area of 3600 sq.km. 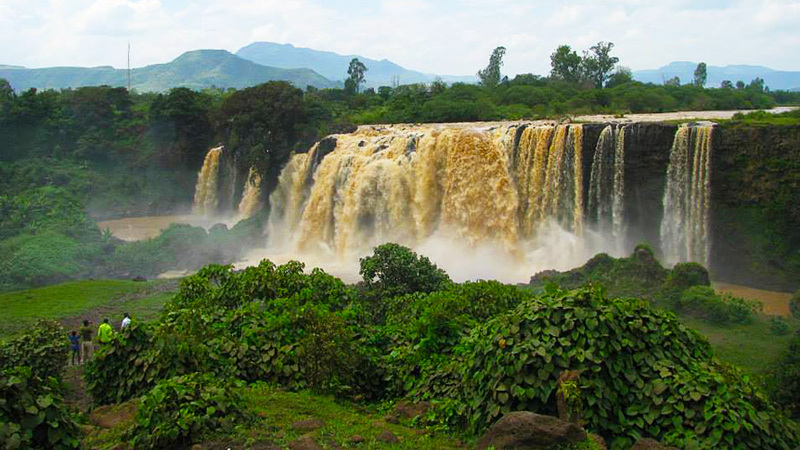 From Lake Tana, the majestic Blue Nile flows towards the southern to form the Blue Nile Falls found within a short proximity South East of Bahirdar. Although very much contested source of the Blue Nile River is believed to be a spring called Gish Abay basin where in the highlands of western Gojam in an area called Sakala from where it flows in to Lake tana to flow out of it again at its southern shore. The 14th century monasteries to be found on the islands of Lake Tana are a must see for tourists and are accessible by boat from Bahirdar. Glorious art collections, priceless icons as well as remains of some medieval emperors of Ethiopia are to be found in the custody of these island monasteries. Only to name few of the monasteries, Daga Stephanos, Kibran Gebraiel, Ura Kidane Mhiret, Debre Mariam, Tana Kirkos, Azuwa Mariam are to be found with famous frescoes works. Since the 18th century, Bahirdar apart from its scenic attractions for tourists became an important trade and commercial center for Gonder and its surroundings as well. Today, it is the administrative capital of the region. The city of Harar is an ancient and Islamic holy place since 1520 and is located 528km east of Addis Ababa. The city is famous for its ancient buildings, great walls and as the center of learning Muslim scholarship whose products came to rule the strong Muslim sultanate. 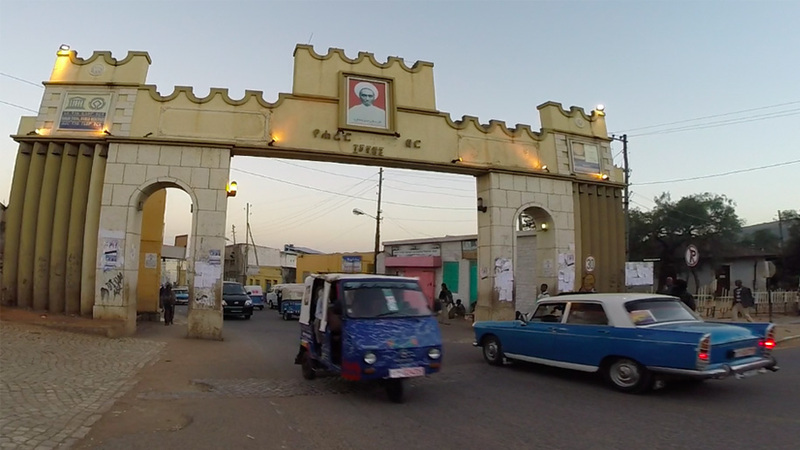 Harar has been ruled by seventy two successive Imams since its formation. Today, Harar next to Mecca,Medina and Jerusalem is one of the main Muslims pilgrims site in the world. The city is well known for its superb handicrafts that include woven, textiles, basket ware, silverware and handsomely bound books. The exciting market is also one of the most colorful attractions in Ethiopia where you can see different tribes assembled together. In this walled and old town, more than 90 mosques are built and are still service active. With all its uniqueness, the town is known by locals as “Jegol”. As such UNSECO has registered the city as a world heritage.